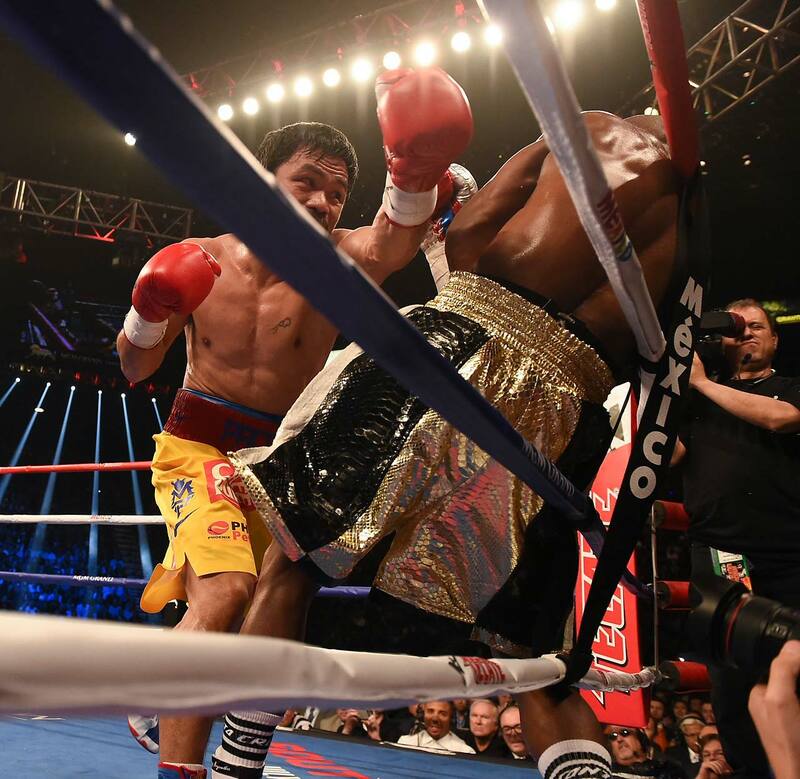 Floyd Mayweather defeated Manny Pacquiao in their much anticipated fight in Las Vegas on Saturday, unifying the world welterweight championship. 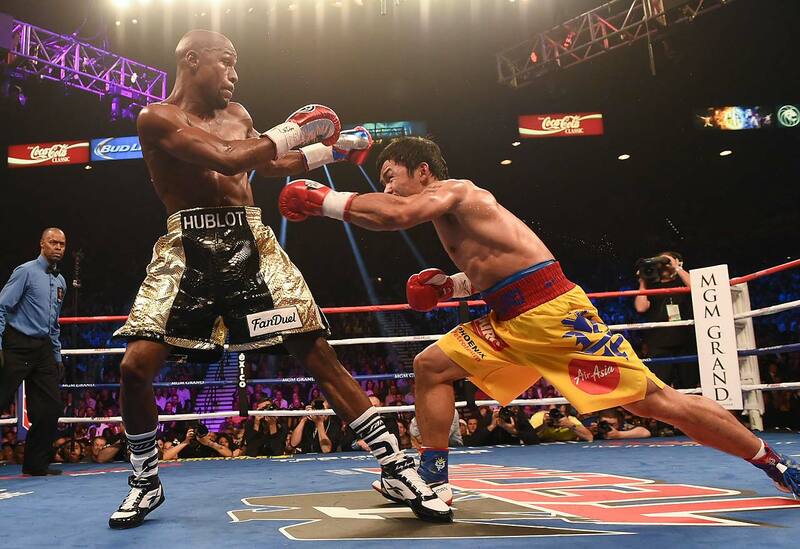 Floyd Mayweather defeated Manny Pacquiao in their much anticipated fight Saturday in Las Vegas, unifying the world welterweight championship. 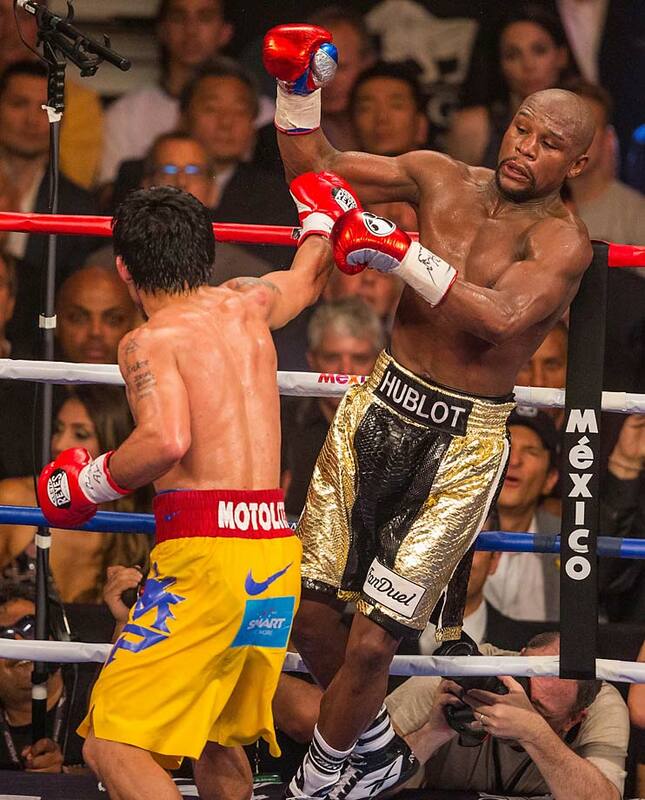 Mayweather won by a 12-round unanimous decision. 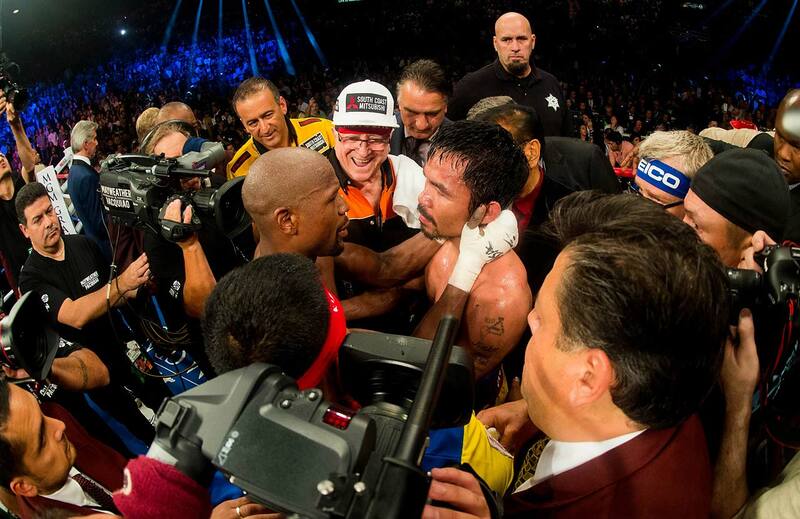 He was the betting favorite from the day the fight was announced. 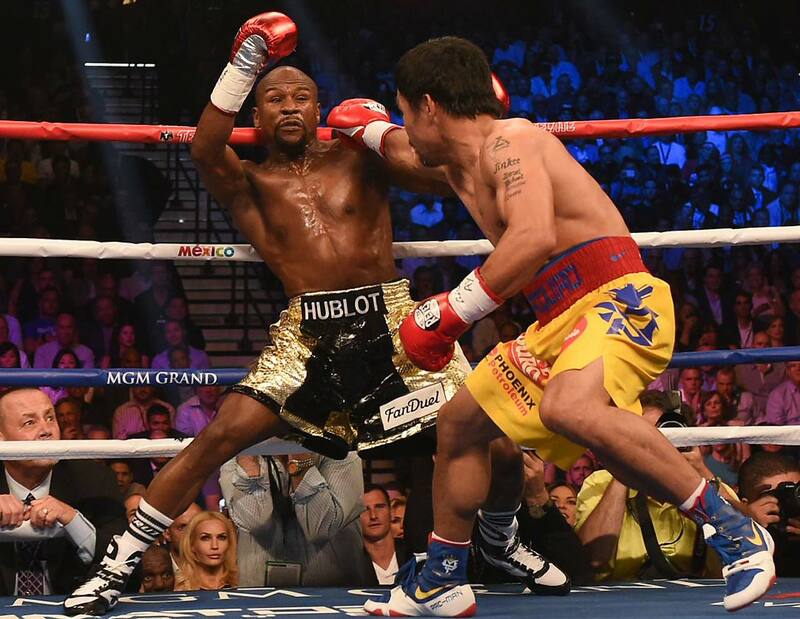 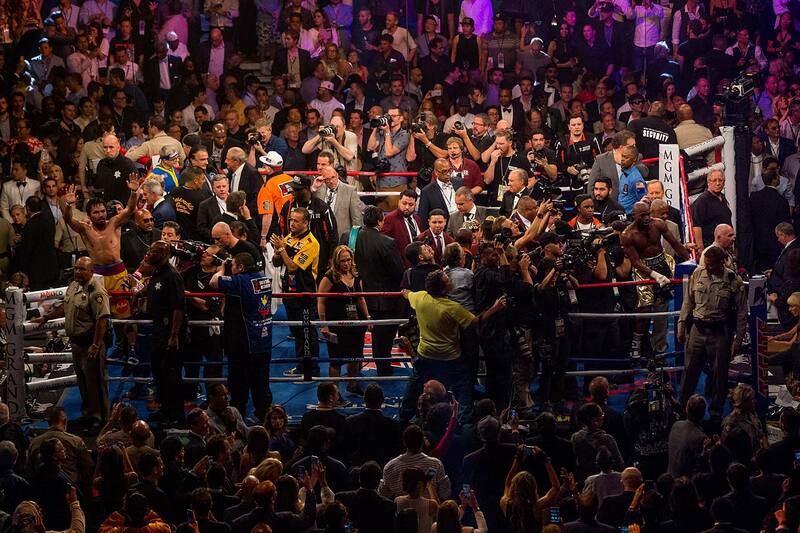 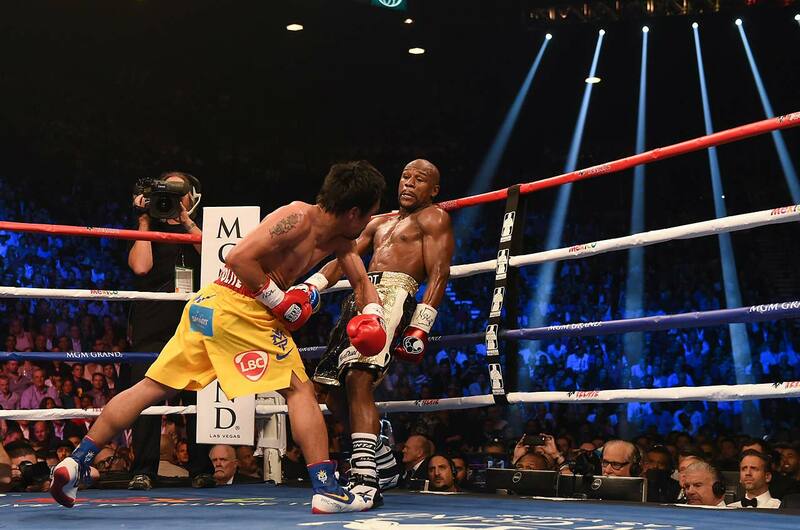 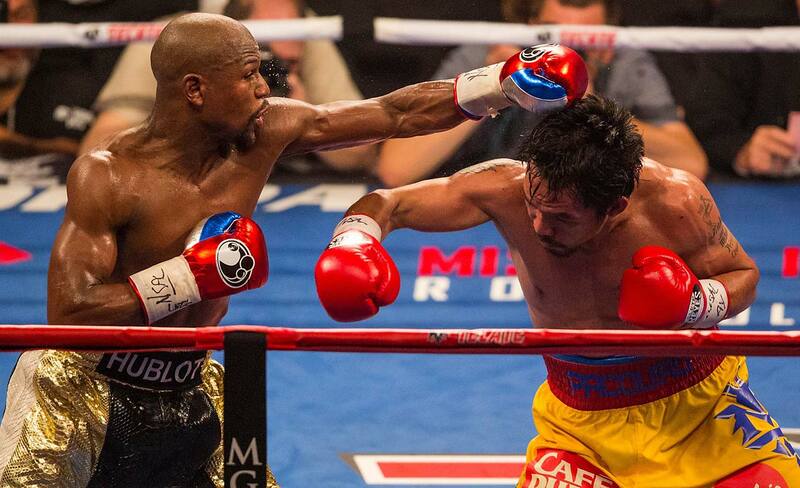 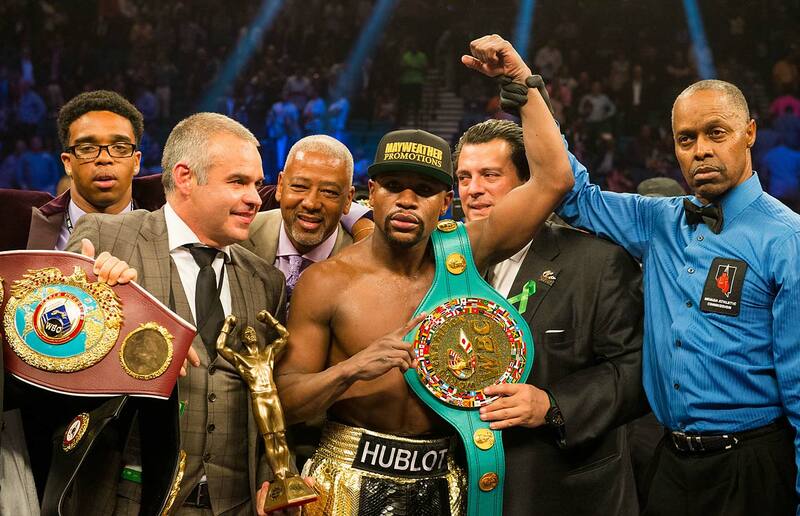 The judges' scores were 118-110, 116-112 and 116-112 in favor of Mayweather. 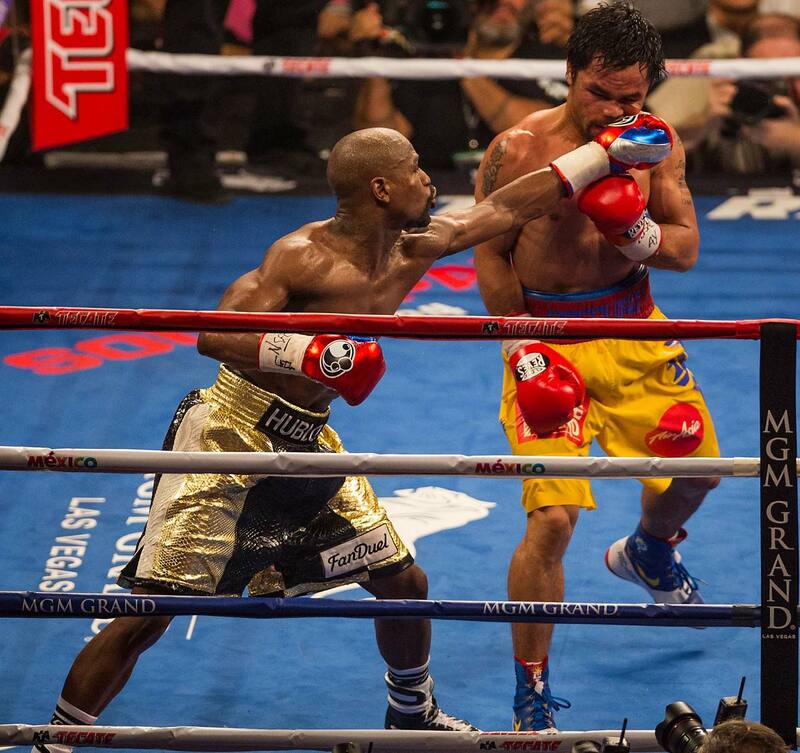 With the win, Mayweather improved to 48–0 in his professional career. 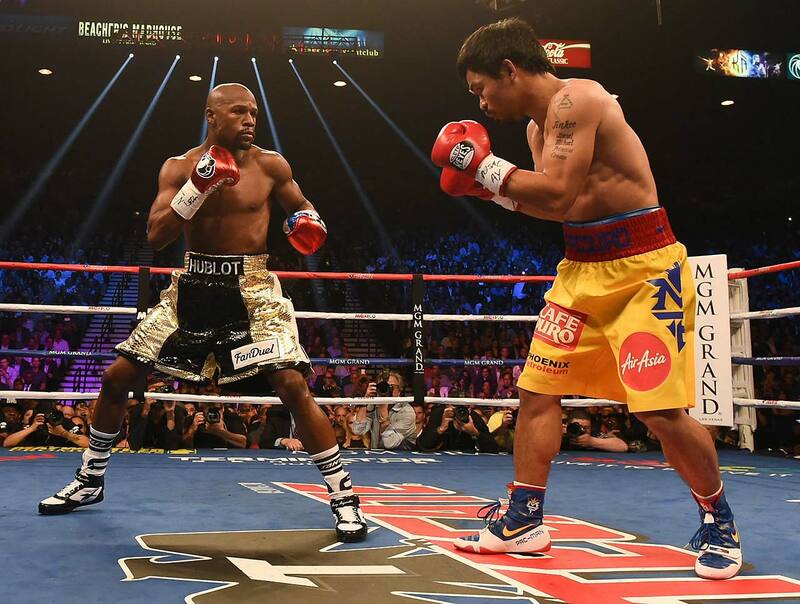 Both fighters are expected to take home more than $100 million, making the fight the richest in history. 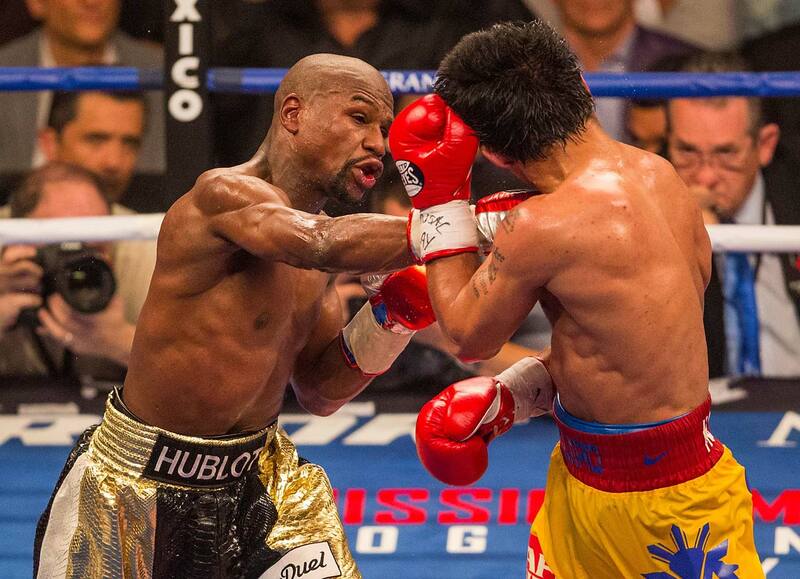 Mayweather takes home 60% of the purse and Pacquiao receives the other 40%. 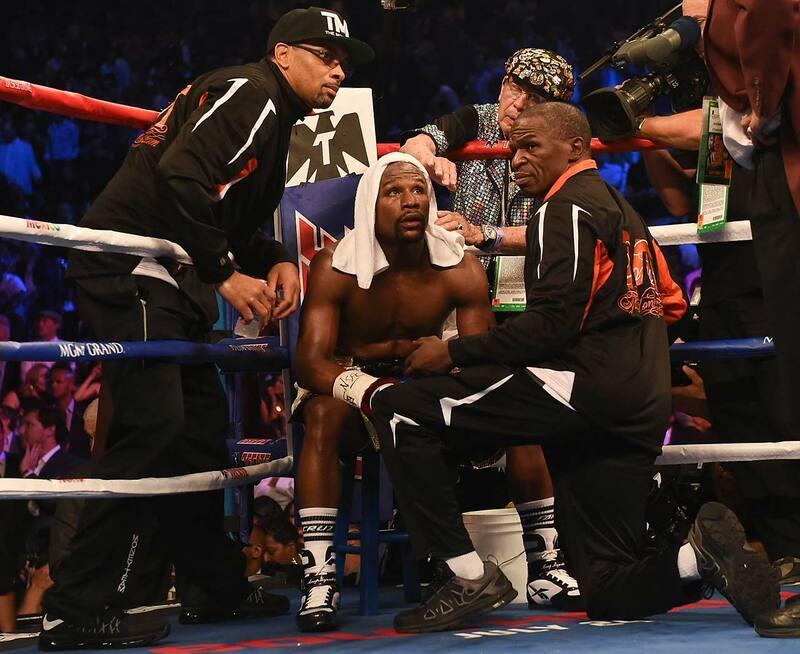 Some of the discussion before fight centered around Mayweather's history of domestic violence. 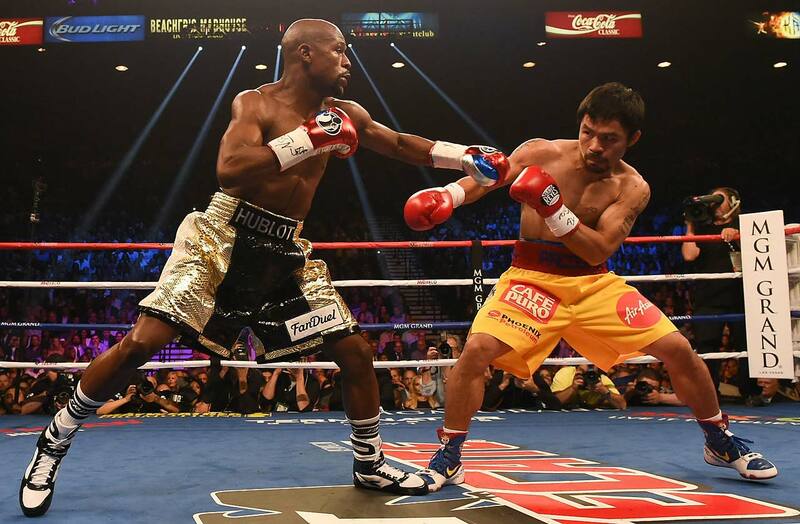 Mayweather has pleaded guilty or been found guilty in five domestic violence cases over the past 14 years. 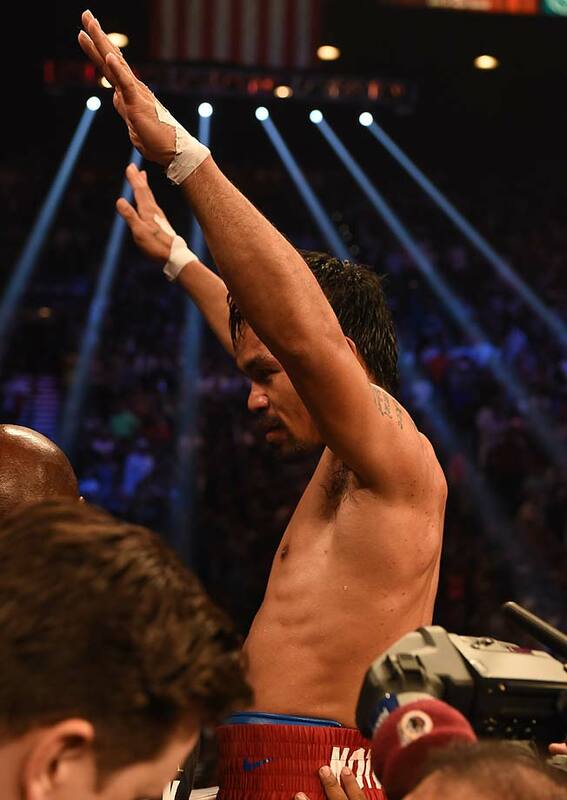 For Pacquiao, the loss was the sixth of his career and the third in his last six fights. 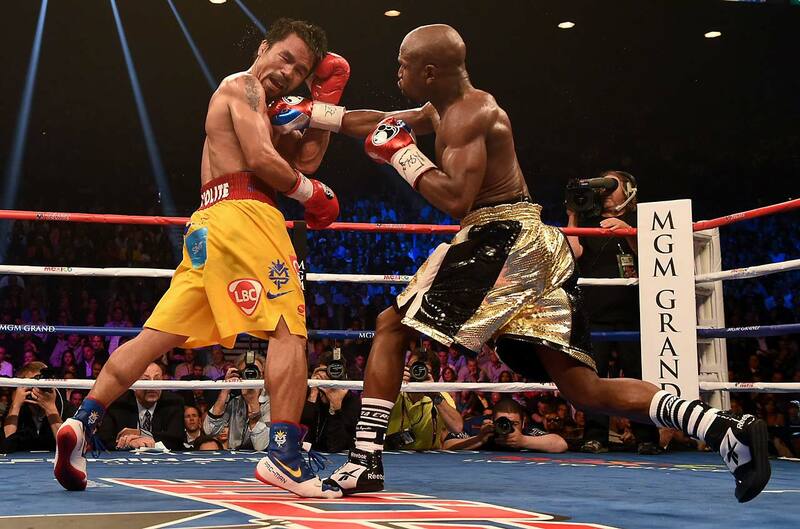 He lost his WBO welterweight title, giving Mayweather every major title in the weight class. 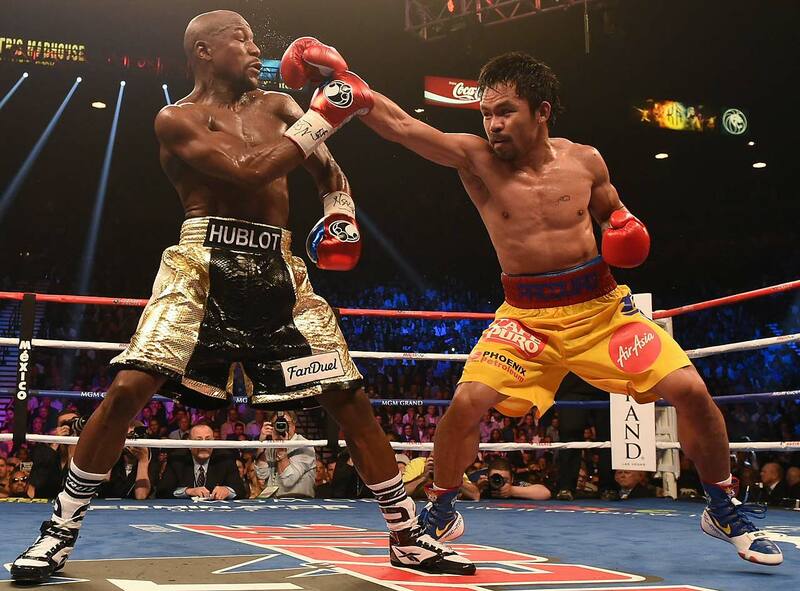 Floyd Mayweather won a unanimous decision over Manny Pacquiao to run his record to 48-0 on May 2. 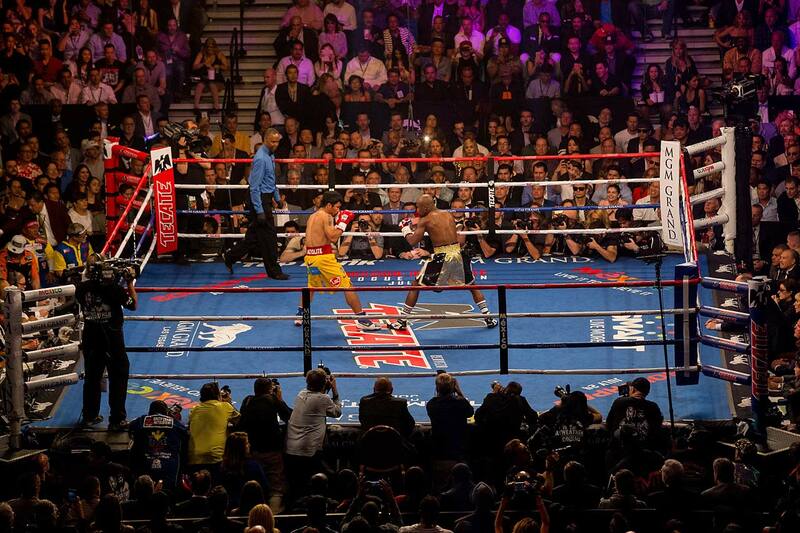 Here are SI's best pictures from the bout. 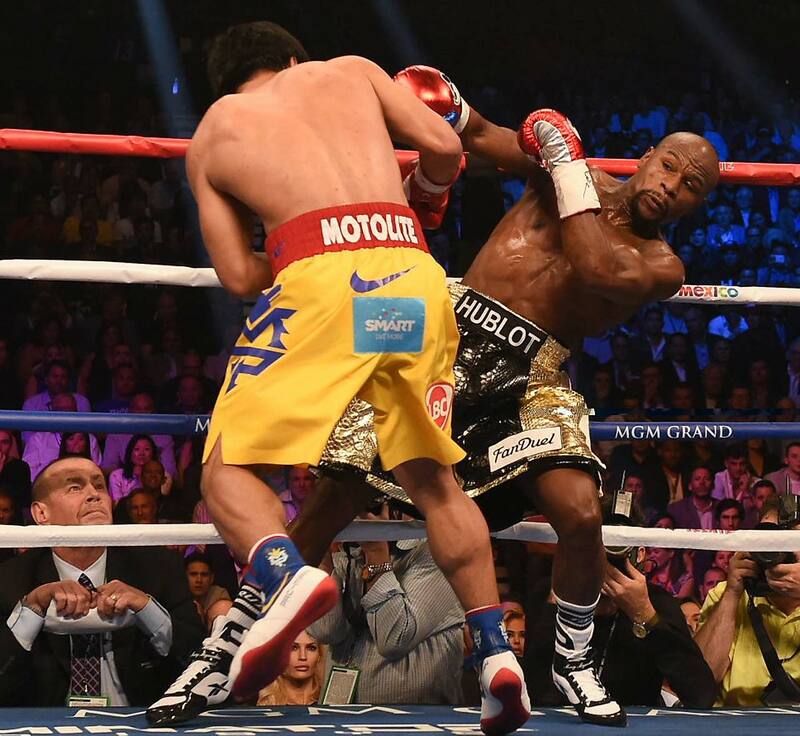 Two of the judges scored the fight 116-112 for Mayweather, while the other judge scored it 118-110. 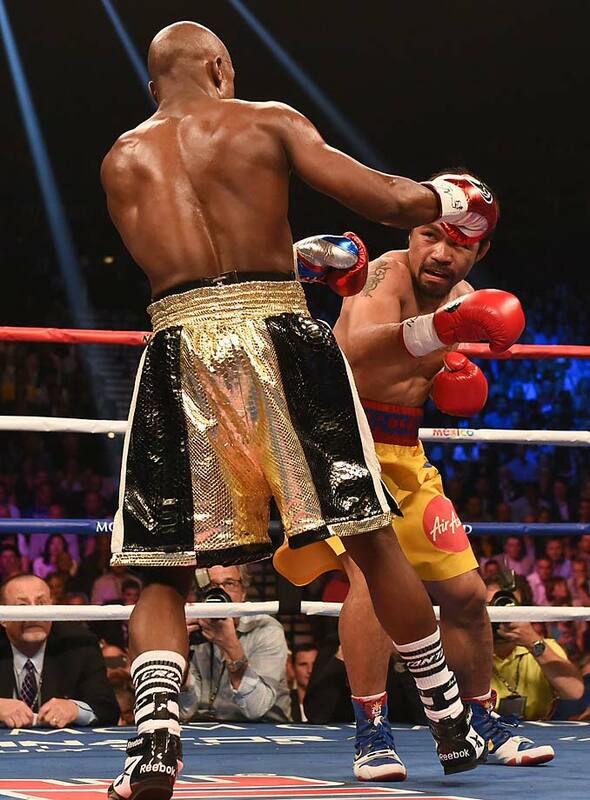 Mayweather was successful in throwing his his jab to keep Pacquiao at bay. 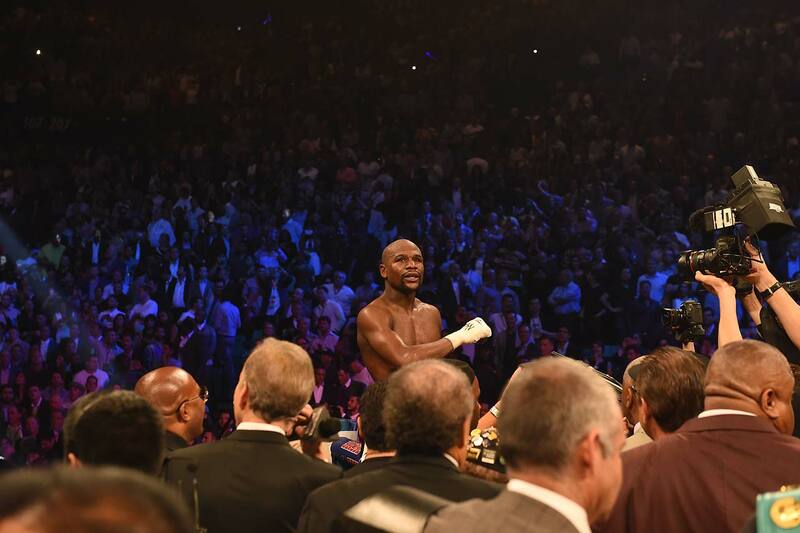 Mayweather says he'll fight one more time before calling it a career. 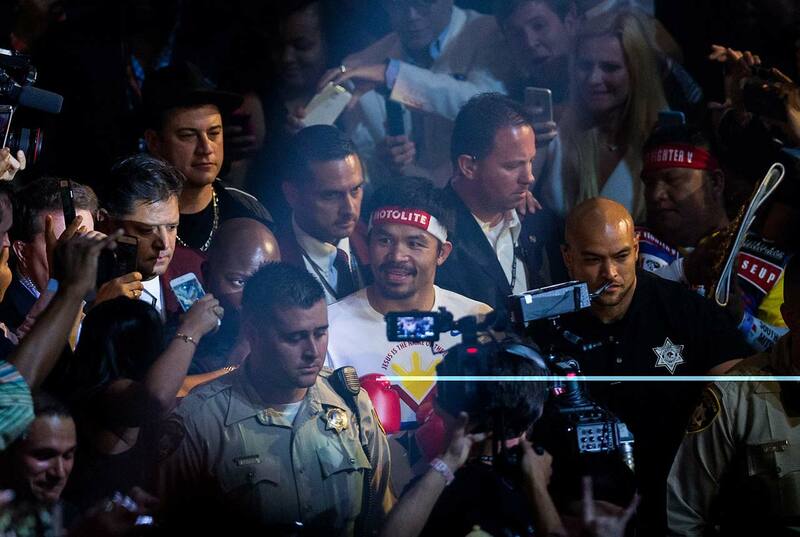 Pacquiao was escorted into the ring by Jimmy Kimmel.